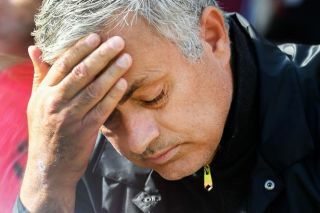 Man Utd boss Jose Mourinho could reportedly have a fresh injury concern ahead of his side’s meeting with Man City this weekend. The Red Devils take on their city rivals on Sunday evening, with Jose Mourinho hoping to extend their three-game winning streak across all competitions. However, their win over Juventus in the Champions League on Wednesday night may have come at a price, as The Sun report on how Alexis Sanchez appeared to be caught grimacing as he grabbed his thigh while coming off in Turin. Further, it’s added that the Chilean international had an ice pack applied on the area immediately after taking his seat, and so it remains to be seen whether or not it was merely precautionary or if he has indeed suffered a setback that could keep him sidelined. With Romelu Lukaku already out through injury, it’s not what Mourinho would have wanted and so it remains to be seen if he gets the all clear with Sanchez or is forced into considering another change up front. Although he has yet to hit top form in a Man Utd shirt, the former Arsenal star did showcase his quality against Bournemouth last time out in the Premier League, producing some decisive play in the build-up to Anthony Martial’s goal to open the scoring. In turn, aside from trying to build on that momentum, it will be a blow for Sanchez if he is now forced to sit out, and it’s a selection conundrum that Mourinho and Man Utd surely would love to do without ahead of such a crunch clash against their rivals.